In order to keep up with digital transformation in businesses, Microsoft has decided to tweak its profile of Windows 10 subscriptions for enterprises. Microsoft is basically applying price increases and renaming the Windows 10 for Enterprises. “The vision of modern commerce is simple: provide customers with a consistent set of offers, available through three distinct channels, supported by a modern commerce engine. 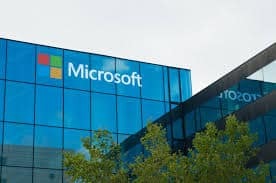 To this end, we’re making changes to provide unique offers that support customer digital transformation, improve the buying and selling experience, and in turn make it easier to do business with Microsoft ,” said Microsoft in its FAQ. Partners who are expected to be most impacted by price changes are those who have existing Open Volume Level C customers, government and customers purchasing at Level A for Enterprise Agreement, MPSA, Select/Select Plus, said Microsoft. Also, Windows 10 Enterprise E3 offers will be renamed, wherein E3 will now refer to only per user offer, Windows 10 Enterprise E3 per Device to become Windows 10 Enterprise and Windows 10 Enterprise E5 will be discontinued altogether. Windows 10 Enterprise E3 and E5 was first introduced in 2016, and cost $84 per user per year and $168 per user per year, respectively. Nonetheless, how much Windows 10 Enterprise E3 will now cost after the reshuffle is yet to be seen. The price changes are expected to be levied by October 2018, added Microsoft. Microsoft Revamps Windows 10 for Enterprises 0 out of 5 based on 0 ratings. 0 user reviews.